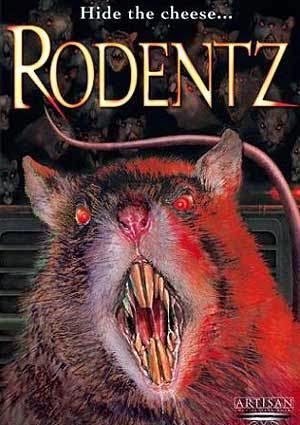 RODENTZ (aka ALTERED SPECIES) deals with some glow stick liquid from a piss poor laboratory that turns normal rats into insane, man eating vermin as two would be scientists and a group of over aged college kids (rat fodder) attempt to figure out what's going on. Celebrity rats Ben and Remy should sue for rat defamation. This steaming pile of rat turds is currently available for streaming on Netflix and Amazon Instant Video, but as always, you're better off skipping this Bert I. Gordon ripoff and leave the extermination to us.